For many people, running a website has become a career. However, full-time hours don’t always result in full-time pay. Placing ads on your website can be a smart way to bring in some extra income, but it can be difficult to find ads that are relevant to your audience. To make your job easier, Google AdSense is a Cost Per Click (CPC) advertising program that enables you to find suitable ads quickly and easily. Messages that respond directly to your target market's needs are more likely to be clicked on, which means you’ll often see a higher payout. In this post, we’ll introduce you to Google AdSense. We’ll also offer some useful tips on how best to use it. Let’s get started! Placing advertisements on your site is a smart way to generate a secondary source of income. It's also a simple and largely automated strategy, as long as you have the right tools. This is where Google AdSense comes into play. AdSense is a Google product that enables you to place targeted ads on your blog or website – and earn money from them. There are close to 14,000,000 websites running these sorts of ads, so it’s highly likely that you’ve encountered them before. As it turns out, implementing them on your own site isn't difficult. When advertisers pay Google to run ads for their businesses (with the Google AdWords program), they can opt to include their content on Google’s Display Network. If they do, their ads are eligible to show up in the “AdSense slots” on participating websites. 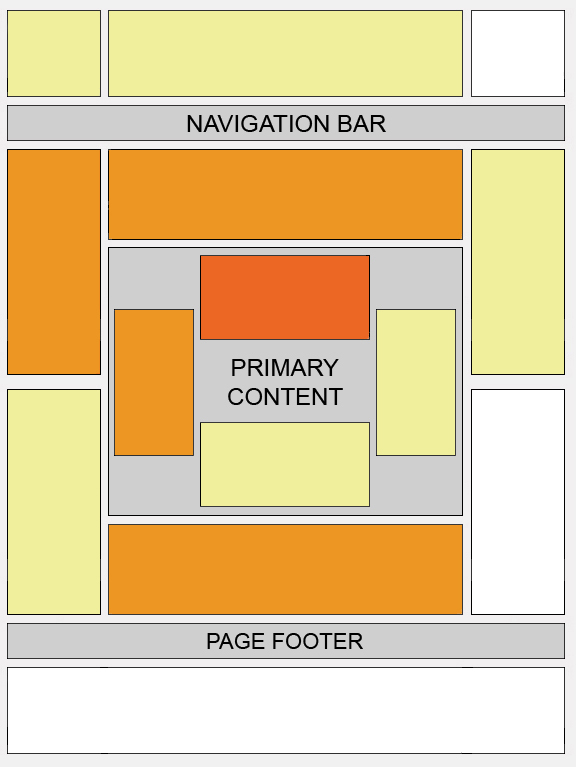 If AdSense is active on your site, you'll get to decide where these slots are placed. Then, Google will runs ads in those positions, based on what your site and content are about. The system is designed to automatically find businesses that are a good match for your niche and audience. The result is that your ads are more likely to be clicked on than if you displayed random advertisements. In turn, you're likely to receive a higher payout. Of course, the boosted income isn’t the only benefit of using AdSense. The inclusion of highly-targeted ads can also help you provide a more tailored service for your customers. Plus, the Google AdSense process is largely automated – saving you a lot of time. What's more, it's completely free to join. This makes it a perfect option for small businesses. Naturally, you’ll need to set Google AdSense up before you can start receiving the benefits. Fortunately, it’s a relatively simple process. First, you'll need to sign up for an AdSense account. If you have a business Google account, you can use that. You'll then need to provide some contact information – including your payment address and telephone number. Your audience won't see this name, so try to pick something descriptive and easily identifiable. From there, you can set the ad's dimensions, although it's safest to stick with one of the recommended sizes. After that, all you have to do is add this code to your WordPress site. The exact steps you'll take depend on where you'd like your ads to be displayed. The sidebar is a particularly effective position, so we'll add ours there. The code will access all the relevant information from your AdSense account, and start displaying ads of the appropriate size and type. You can always go back to your account and adapt your ad as needed, and you can add as many additional ads as you'd like. Now that you’re set up with AdSense, the real work can begin. While this program can be incredibly beneficial to your website, you'll want to adopt a few key strategies in order to get the most out of it. Ad placement is a key area for consideration, since various placements can yield different results. Displaying ads in ‘priority’ areas can increase the likelihood that users will interact with them. Regardless of your chosen placement, it’s important to always bear the AdSense program policies in mind. Failing to do so could result in a ban on your account. Above all, it's also vital to ensure that your ad placement won’t affect the user experience of your site. In other words, avoid overloading your pages with ads, as visitors are likely to find that strategy off-putting. A few ads per page can go a long way. Google AdSense bases the advertisements it places on your site on your content's focus. So if you want ads that are appropriate to your audience, you’ll need to create well-targeted content. To achieve that, you'll want to have a clear target market in mind. While this is something you probably decided on when initially creating your website, it’s important to adjust your focus as your business continues to grow. There are many different ways of doing this – but one of the best is to create a clear buyer persona. This will enable you to carefully define your ideal customer, and then craft content that suits their needs. If you take your time with this process, Google AdSense will be able to provide ads that are more relevant to your website’s content. Those types of ads are more likely to be clicked on by users, boosting your income as a result. It’s useful to be able to generate money through your website, and CPC advertising can be a perfect way to do that. In particular, Google AdSense enables you to place highly-targeted ads on your site, meaning you can offer a more tailored experience for your visitors (and increase your income as a result). Place your ads where they’ll be most effective. Produce quality content that serves your target market's needs. Do you have any further questions about how to use Google AdSense? Let us know in the comments section below!